Confused - Is this an Art Deco Ring? Can it be used as an engagement ring? This all started when I was coming up with ideas for an engagement ring for my girlfriend. It has been in my family for many years, originally purchased from a friend of the family. The ring's history includes passing through South East Asia and making its way to the United States over the years. I recently took them in for a written appraisal. 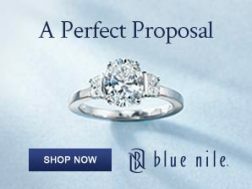 The ring is made of 18K white gold with a weight of 6.9 grams. The ring features a single natural round brilliant cut diamond .60cts color of I, clarity of S12 with 32 natural round single cut diamonds set in two rows at the perimeter of the center diamond with an approximate weight of 0.64cts. There is no maker's mark. What should I do now? From the information and pictures, is this piece from that era or a replica? I wouldn't want to break the set up if this truly is an antique from the 1920s or 1930s. Could this ring be used as an engagement ring? Does it come across as an engagement ring? I know that it depends on the girl, but I could use some information or opinion regarding these? Thanks so much and I'm looking forward to hearing from you. 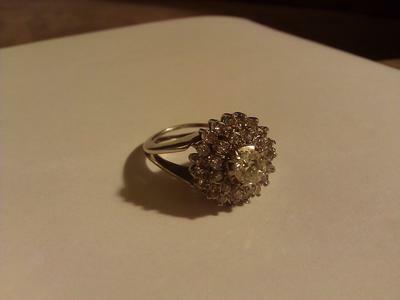 Thank-you so much for sharing this beautiful ring with us – it is absolutely gorgeous. And before I go any further…PLEASE do not separate or take apart the set. 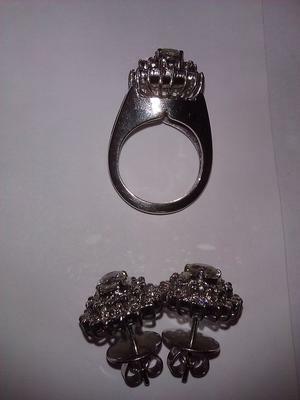 Both the earrings and the ring are just beautiful, and quite unique, and it would be a shame to lose these pieces as a set. Regarding a possible history on the ring, at first the ring almost looked to me like a Late Victorian ring, but the brilliant round cut on the ring can help us to date it – if this is the original diamond that the ring was made with. 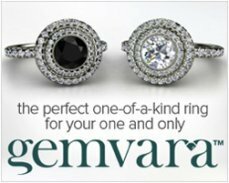 Rings made before the 1920s – and often even in the early 1920s – which feature round diamonds usually hold diamonds in the rose diamond cut or the old European round cut. This is because the round brilliant diamond cut was not invented until 1919 – and it was not commonly seen in ring styles until after the mid-1920s. 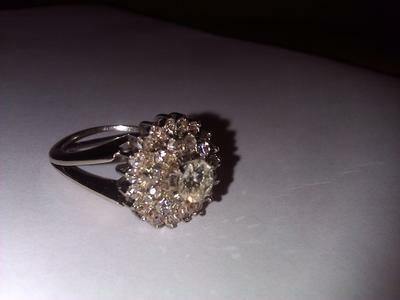 (Although, the round brilliant quickly became the most popular diamond cut and still is today). 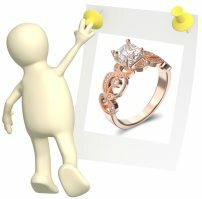 So, we can safely say that your ring was probably created after the year 1920 – and possibly in a European country that did not have 20th century hallmarking or maker’s mark laws. 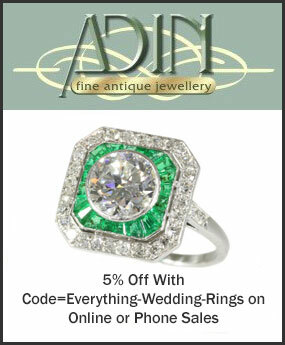 As far as the style of the ring, this could be a mid to late design era Art Deco ring – it has the split shank style that was so popular then and a geometric flair. But this could also be a Retro ring crafted in an Art Deco inspired style. During the Retro period – from around 1935 to 1945 – jewelry pieces were particularly bold, but sometimes had a whimsical touch. 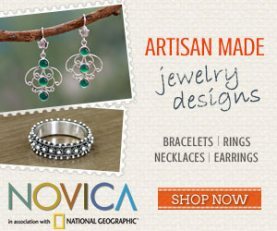 For example, bow and feather motifs were combined with geometric styles, and the early Art Deco jewelry pieces which were influenced by the nature inspired Nouveau period came back into style. All of these design eras influenced one another....and many artistic styles from by gone days were en vogue again in later years. One example is the mourning rings, prominent through the Georgian era, which experienced a significant revival during the Victorian age after the death of Queen Victorian’s dear husband. 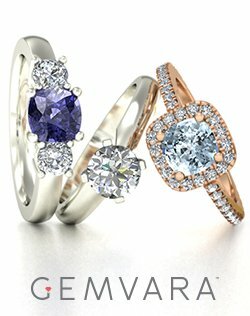 Or we can look back just a few decades ago in the 1980s, when Art Deco designs once again came into style – albeit with a unique 80s flair – and so today it is possible to find 1980s vintage Art Deco style rings. 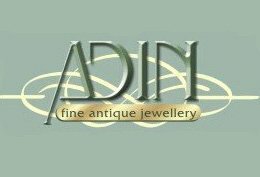 I suspect this could be the case with your ring – that what you may have is a ring crafted sometime during the Retro years…or possibly just a few years later, maybe even in the very early 1950s...in an Art Deco inspired style. The bold characteristic of the ring, the basket like 3-dimensional cluster design, combined with an artistic element that brings to mind gentility and grace – these are all characteristics of a particular theme which came back into style during the Retro years. With that being said though, because the ring does not have any maker’s marks or hallmark stamps it can be difficult to say exactly when the ring was made. It could be Art Deco, but it could also very well be a Retro ring. 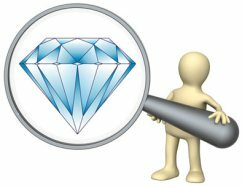 Unless the appraiser was asked to investigate the possible date of the ring, the appraisal on the ring itself probably does not contain any info as to when the ring could have been crafted. 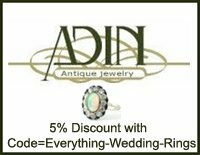 But, the person who did the appraisal may have an idea – or you might want to take the ring to an antique dealer someday to have it looked at. As to your second question – could the ring be an engagement ring? 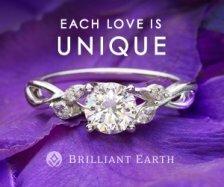 It certainly could, although it might be difficult finding a band that would match the ring (but a matching band could easily be handmade too). 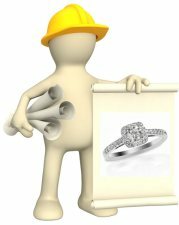 Of course, that would depend on if the ring would suit your fiancée – and if she would feel comfortable wearing the ring every day. The ring is quite stunning, the only concern I think she might have is the elevation on the mount of the ring – it looks quite high, and for engagement rings lower mounts are usually more comfortable for every day wear because they are not as likely to catch on hair or clothing or to bump or knock things. So here is what I suggest. 1. Don’t break up the earring and ring set. 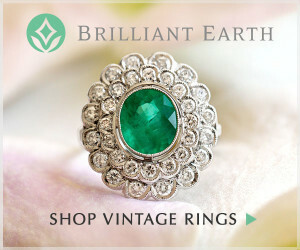 Even if the ring is made after the Art Deco period, it is a gorgeous and unique vintage set (and in a few more decades will probably be an antique) and would make a lovely heirloom jewelry keepsake for future generations. 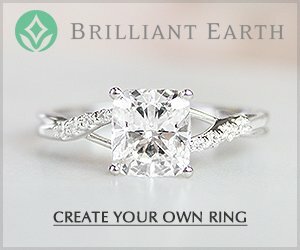 If you and your girlfriend are already looking at rings together, you could find a similar style ring yourself - to keep the set you have a surprise – and then ask her how she feels about that style. 3. If it turns out that the style may not be a good fit for her as an engagement ring, the set would make an absolutely lovely wedding present. Or, you could always save the set for a 1st wedding anniversary present. I do hope that this information is helpful – and we would love to hear back from you - if you find out more info about the ring, or if you decide to use it as an engagement ring, do let us know! And congratulations on your engagement too!!! 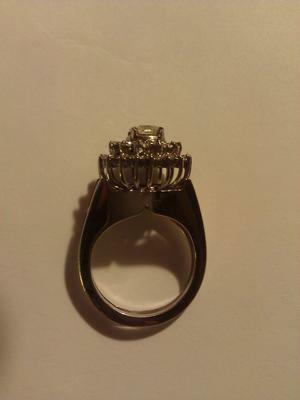 Comments for Confused - Is this an Art Deco Ring? Can it be used as an engagement ring? Thank you so much Suzanne for your wonderful response and advice! It has definitely guided me on what to do next. I did speak to the appraiser and he said that he usually sees this type of jewelry coming from South East Asia, possibly India. He also believes this jewelry was made during the 1980s. I love the idea that I could also save this as a wedding present... maybe give the ring as an engagement and save the earrings for a surprise on our wedding day! Click here to return to Art Deco Rings.